Vehicle & Real Estate Identification Key Tags. All in one self-tie loop & easy to use. 2 x Permanent Markers Included. Supplied in compact boxes of 1000. 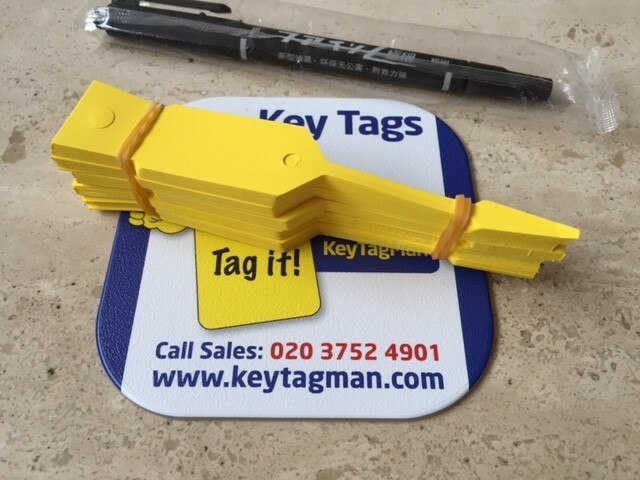 Budget Disposable key tags are suitable for organisation and identification of property and vehicle keys, which is ideal for car dealerships, mechanics and estate agents. Length: 114 x 19 mm. Colours: Blue ,White and Yellow. 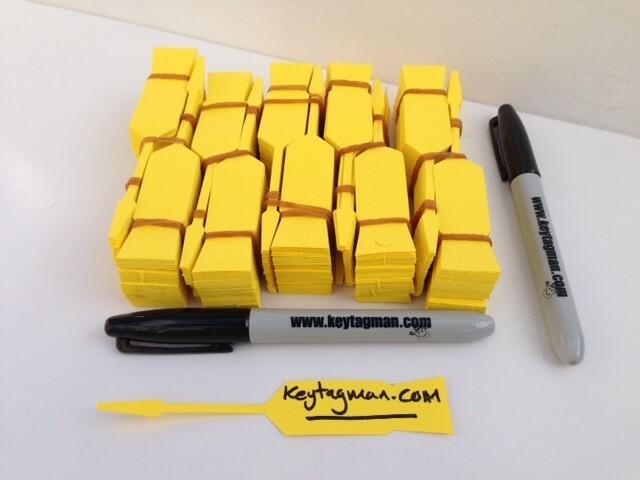 Provided with 2 FREE permanent marker pens. Writing area provided on both sides. 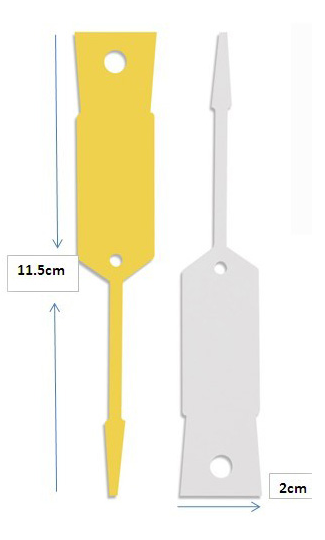 Each key tag has two pre-cut holes, one for inserting the arrow to securely lock the tag to your keys, and the other for hanging on a hook.